CONCORD Reverso Plus (Isofix + i-Size) is a safe and easy to handle seat that can be used for newborns with an insert but cannot be used as a carrier. The seat can only be installed with Isofix and the support leg, but installation with seat belt is not possible. It is a lightweight seat (10.3 kg), compared with other seats at a similar size, thanks to its aluminum frame and multifunctional shell. The support leg is telescopic so that it can perfectly fit in your car. You can adjust this support leg with one hand and it has a red-green indicator to show if you have mounted it perfectly. Air circulation is not blocked around the rear seat thanks to the big louvres. Seat insert for both newborns and infants are included. Older children can have a high sitting position for a better view. There is also a foot support with automatic seat adjustment for the most perfect and firm position. A safety cell is placed all around inside the lightweight frame. Summer cover can be bought separately for the seat to protect the seat and to make it more comfortable for the baby. CONCORD Reverso Plus can be bought in 6 different colors which are all very unique and beautiful in my opinion. 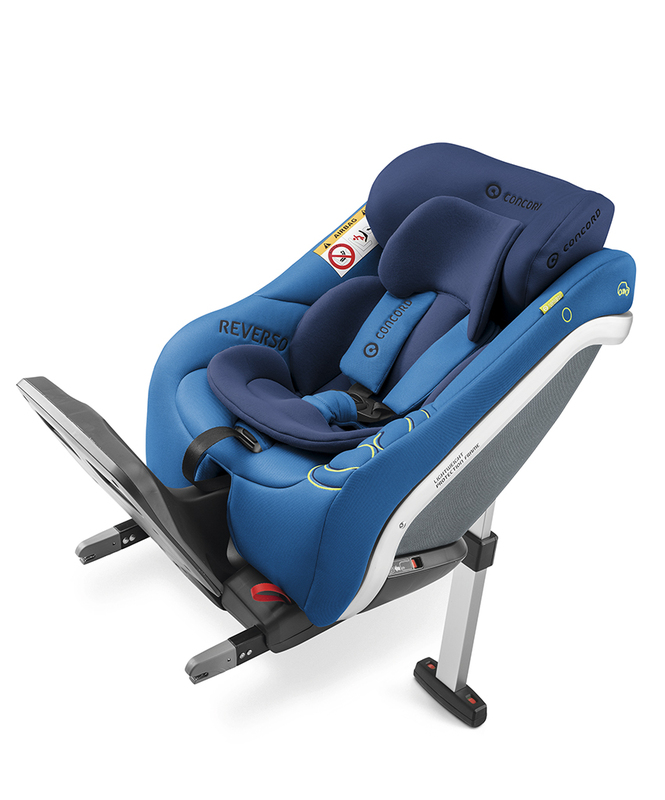 All in one, I really recommend the Reverso Plus seat, it is safe, relatively lightweight, which is handy if I have to change the seat from one car to another by myself with my kids around, rearward facing up to 4 years and I liked all of its colors. In addition, I have never used a carrier, so I would surely not miss this option. Do not use on passenger seats with front airbag! I hope you liked this review and if you have any question about the CONCORD Reverso Plus (Isofix + i-Size) seat or want to leave your own personal experience, leave a comment below.